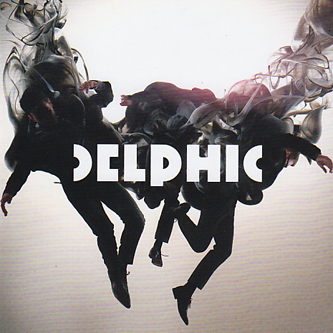 Riding the crest of a massive PR gush from all corners of the press, Manchester's indie dance hopes Delphic present their acclaimed debut album 'Acolyte'. Most famously, they've been working with production overlord Ewan Pearson to polish their sound into a kind of Klaxons-meets-New Order rush of poppy euphoria with a radio-primed edge. The group introduced themselves to the world via releases on R&S and Kitsuné, followed by a succession of savvy remixes courtesy of Doc Daneeka and Riton, placing them within earshot of club punters, while characters like Zane Lowe have been giving the group heavy airplay. 'Acolyte' contains the electroid spank of lead single 'Doubt', a track bristling with pop potential in the ears of Klaxons fans, plus the New Order-esque single 'This Momentary', combining a proper Hooky styled bassline with bespectacled vocals and trancing synth arpeggios. On the extended title track they achieve the sort of post-rock-tronica surges of 65 Days Of Static, or coming over like a hyper Bloc Party on 'Counterpoint'. New Order fans may be cynical about it all, but for many others this will probably be hailed as one of the best indie-dance crossovers of recent times.